The massive growth of the fintech industry has been matched by the rapid increase in the number of international conferences. Below, we’ve listed three upcoming fintech events and conferences in Europe that anyone in the financial services should attend in order to keep with the burgeoning sector. 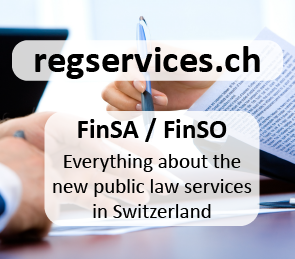 Fintechnews readers will get for all this events generous discounts. The 2nd annual Blockchain for Finance Conference Europe is set to be the European meeting point for finance and technology professionals who are working to move blockchain projects from proof-of-concept to full-scale deployment. The conference will cover the most pressing topics for financial services, and will seek to help enterprises and organizations “move their blockchain projects from hype to prototype.” Topics will include digital identity on blockchain, blockchain in trade finance, blockchain for cross-border payments, and more. Speakers will include representatives from the likes of Deloitte, Barclays, State Street, Credit Suisse and Fidelity, but also blockchain startup Wave, as well as the Enterprise Ethereum Alliance. Get 100 EUR Discount with Code “FINEWS100”. Register here! LendIt, one of the largest conferences series dedicated to connecting the global online lending and fintech communities, is coming to London on October 09 and 10, 2017 for an event that is expected to gather over 1,000 participants, 500 companies and 150 investors from all around the world. This year’s conference will cover the hottest topics in the fintech industry from blockchain technology and insurtech, to digital banking and more. Confirmed speakers include representatives from Zopa, IBM, UBS Smartwealth, RateSetter, Microsoft, and more. The event will also feature the PitchIt startup competition, which will allow startups from across EMEA to present their solution in front of the LendIt audience of international investors and industry leaders. Get 15% Discount with Code “FNSwitzerlandVIP”. Register here! The NPF & Regtech Leaders Forum is one of the world’s premium gatherings for senior executives responsible for compliance and payment strategies. The event will bring together key market players including regulators, compliance and payments executives with leading solution providers and tech experts. The forum will focus on leveraging technology while coping with changing regulations, helping both businesses and institutions to boost compliance and adding value by embracing innovative solutions, in payments and beyond. Topics will include the future of payments and compliance, blockchain technology, machine learning, digital threats, financial crime, insurtech, and many more. 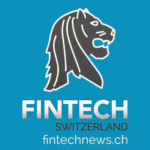 Get 20% Discount with Code “FintechSwitzerland”. Register here!